The fiberglass poles were in poor condition. 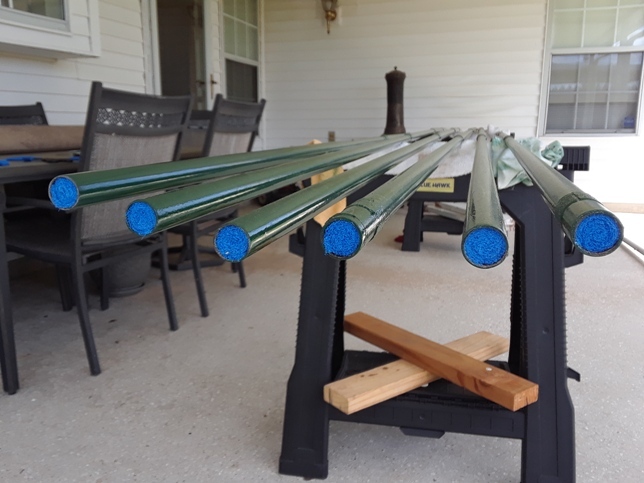 Since there was paint left over from painting my main 3-element SteppIR yagi poles in October 2017, it was used to paint these poles. 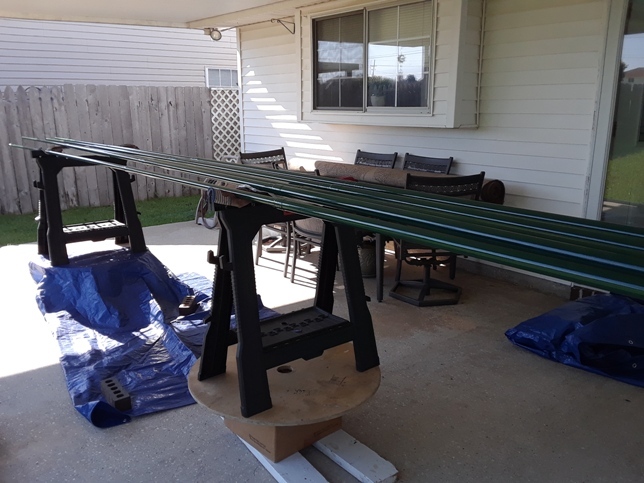 For more detailed information on painting SteppIR fiberglass poles, see the October 2017 painting page here. The poles shown here were seven years old. 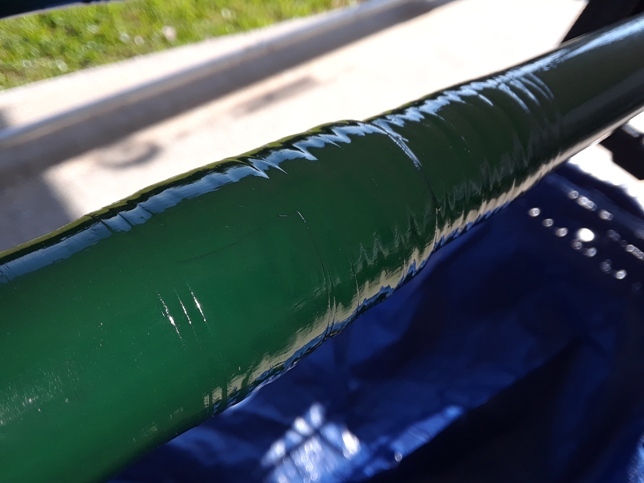 This was before heat shrink tubing was used to seal the joints in the poles. To seal the joints I had originally used Scotch 33 electrical tape then covered it with rubber splicing tape, which was recommended by SteppIR at the time. I debated removing all the tape and replacing it with heat shrink tubing. 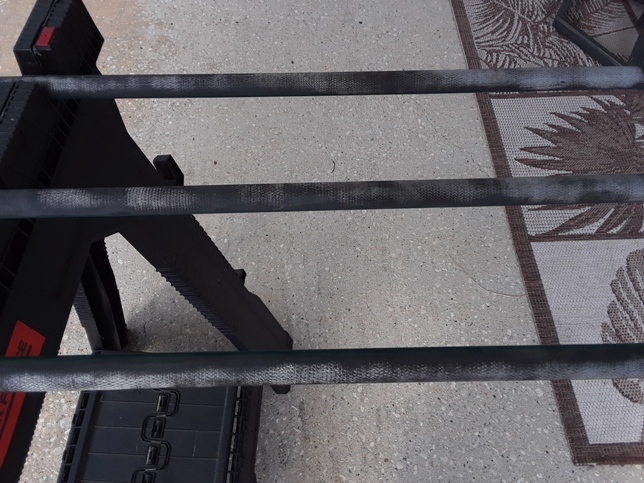 To save time and money, I removed the rubber tape and painted directly over the electrical tape (after sanding). It turned out better than expected. 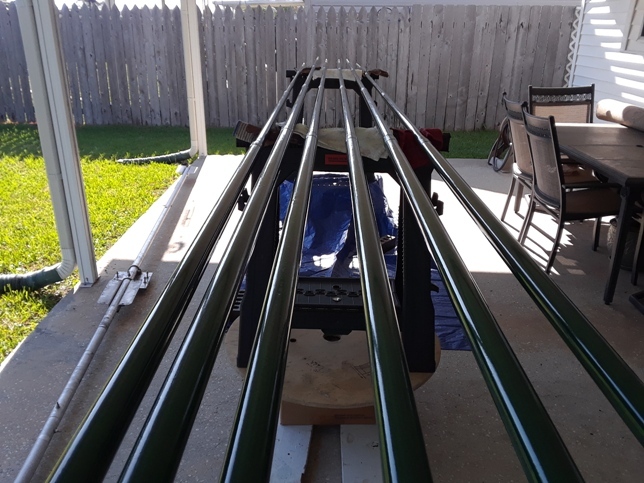 After two coats of paint, the fiberglass poles looked great. In hindsight I should have added a 3rd coat because I had paint left over that will probably go to waste. 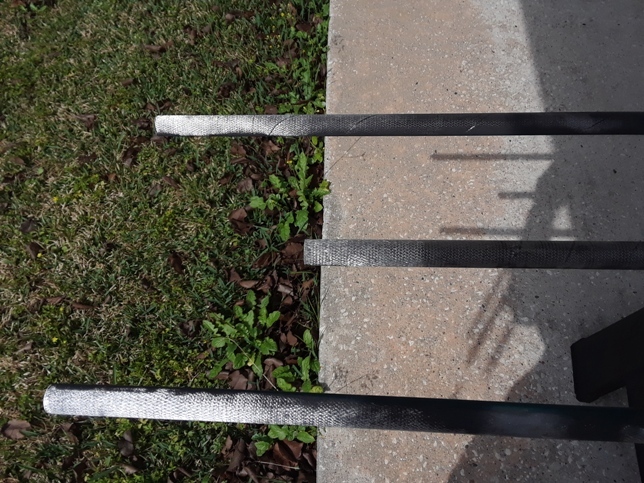 After the poles dried, I used Scotch-Brite pads to block the smaller ends of the poles to keep insects from depositing grass and other debris. This is what caused the antenna to fail in the first place. 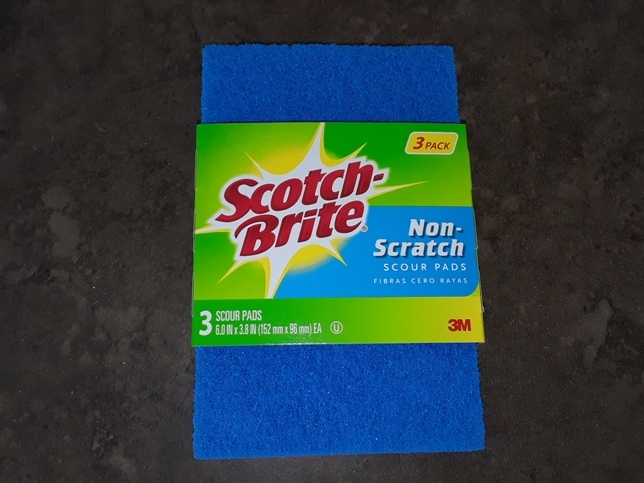 I decided to use the blue “Non-Scratch” pads instead of the green “Heavy Duty” pads because I thought the blue might stand out more than the green and I might possibly be able to see if they were missing in the future. I don’t know that to be the case, but it sounded logical at the time. The pads are 6″ x 3.8″. 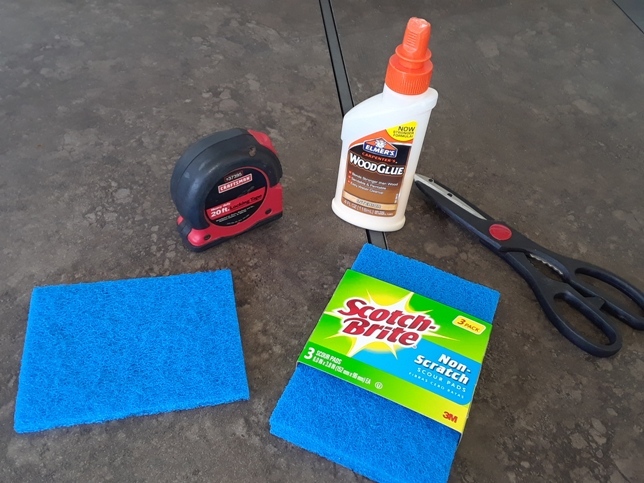 By cutting them into 1″ strips, I was able to get six strips out of one pad. 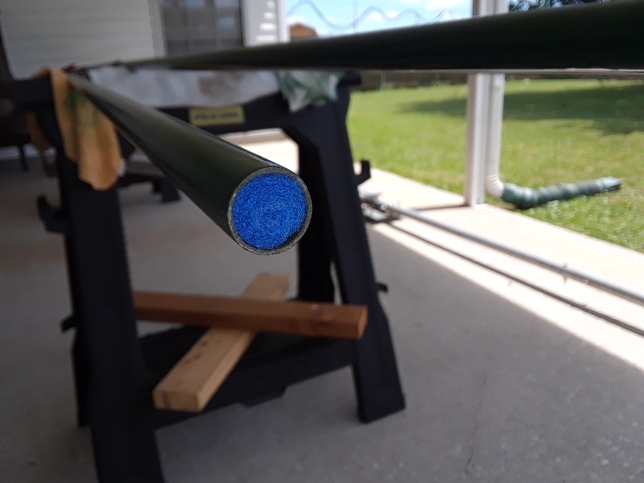 I put a small amount of Elmer’s Wood Glue just inside each pole to hold the pads in place. I rolled the strips up tightly and squeezed them into the ends of each pole. To make sure the pads did not completely block air from coming into the poless, I blew into the large end of each pole. 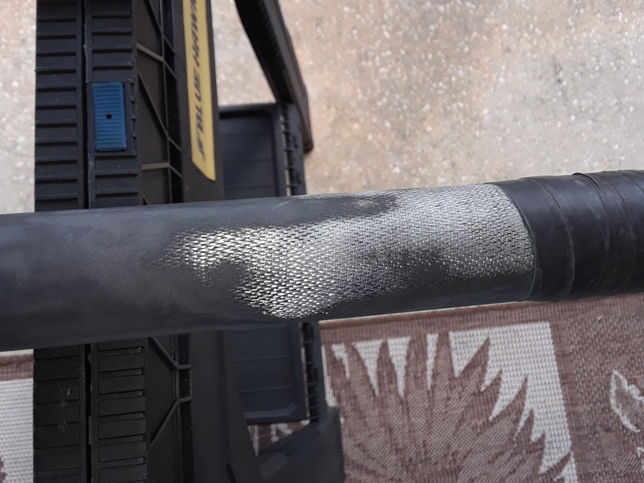 Air was not restricted and I was able to blow through the poles with the pads in place. The poles were now finished.